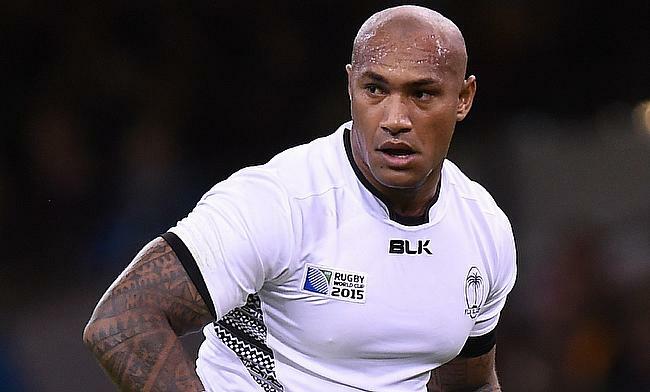 Fiji will miss the services of Nemani Nadolo in the World Cup later this year after the winger has announced retirement from professional rugby with immediate effect. Fiji came up with a scintillating performance in the final to defeat their USA counterparts 29-15 as they went on to clinch the Cape Town leg of the HSBC World Rugby Sevens Series for the first time in South Africa since 2005. Fiji have been the biggest gainer in the World Rugby Rankings following their 14-21 win over France in the final round of the November series that came to a conclusion last weekend. Fiji capped off their November series on a high as they went on to register their first win over France with a 14-21 margin at Stade de France on Saturday. France head coach Jacques Brunel has made two changes to the line-up for the upcoming November series clash against Fiji to be played on Saturday. World Rugby has announced that Fiji and Samoa has been elected onto the board's expanded council after they met the new governance criteria. Scotland ran an eight try riot including a hat-trick from Tommy Seymour as Scotland trounced Fiji with a 54-17 victory at BT Murrayfield Stadium on Saturday. This weekend, Sam Skinner will make his Scotland debut when they take on Fiji and his former forwards coach at Taunton Titans, Chris Brown, caught up with Gary Heatly to discuss the rise of the second-row. Scotland winger Sean Maitland admits it can be hard to prepare for defending against the unpredictable and powerful Fijian wide men, stating “you don’t know if they are going to step you or bump you”. Scotland head coach Gregor Townsend has added six players to the autumn internationals squad ahead of the upcoming clash against Fiji at Murrayfield on Saturday. Fiji managed to hold of South Africa in the final with a 21-17 victory in the final to win the London leg of HSBC World Rugby Sevens Series. Fiji have gone on to claim the Hong Kong Sevens title for the fourth consecutive time after they defeated Kenya 24-12 in the final of the seventh round of the Men's World Rugby Sevens Series at Hong Kong Stadium. As the eighth annual Mana Whey Fiji Coral Coast Sevens is set to kick-off from Wednesday, international stars from Hong Kong converged at Nadi International Airport today on Monday. The Uprising Youth Sevens tournament in Fiji scheduled to be played next month has received a further boost with the addition of international teams. A double penalty from Ian Keatley proved vital as Ireland managed to edge out Fiji 23-20 in their second game of the autumn international campaign at Aviva Stadium on Friday. Ireland head coach Joe Schmidt has made 13 changes to his line-up for the upcoming encounter against Fiji to be played at Aviva Stadium on Saturday.